Experiencing God's Love is a short study guide that aims to deepen our understanding and first- hand experience of living the life of faith. It explores five biblical images of the ways in which our lives are changed by walking with Christ:Being securely rooted in prayer and the scriptures,Cleansed through baptism, confession and forgiveness,Enlightened through worship, mission and growth in holiness,Tended through care for one another and the world,Welcomed in the eucharist and in the fellowship of the Church. Each chapter explores one of these images in the Psalms and the Gospels, and in popular culture, supported by YouTube clips. Opening and closing worship, discussion starters, questions, and a leader's guide are all included making this ideal for Lent groups or as a Christian nurture course at any time of the year. Experiencing God's Love by Steven J. L. Croft was published by Church House in November 2011 and is our 5808th best seller. The ISBN for Experiencing God's Love is 9780715142516. 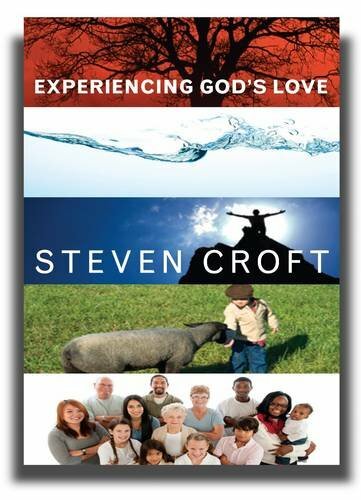 Be the first to review Experiencing God's Love! Got a question? No problem! Just click here to ask us about Experiencing God's Love.